In keeping up with our tradition of celebrating festive seasons with the less fortunate, Meals on Wheels will be bringing cheer to the children in Persatuan Kebajikan Anak-Anak Yatim Dan Tahfiz Al-Habbah in Batu Caves, in conjunction with Hari Raya Aidil Fitri. The dirt road leading to the Home. The Home is both a religious school and a hostel, established in 2011. 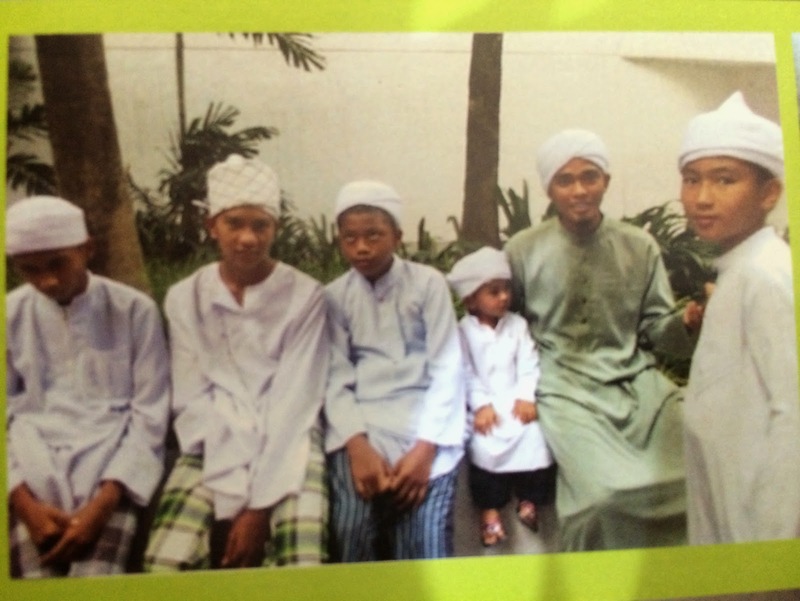 Thirty six boys, aged from 8 years to 22 years, live and study in this Home, under the care and tutelage of four Ustaz. Of the 36 residents, 18 are from poor families, 9 are orphans and 9 are Mualaf (muslim converts). This is where classes are conducted where the children sit on mats on the floor. They hope to convert this into a library when they have funds. One of the residents in the Home is Fikri (not his real name). He is a muslim convert. His mother lives and works in Chow Kit and his father allegedly lives in Sarawak. He was found roaming around the streets of Chow Kit by one of the Ustaz, and was brought to the Home to live and study, with the permission from his mother. Since then, he has never seen the mother and neither has she tried to contact him. Fikri is just one of the many less fortunate children at the Home who are deprived of parental and family love and care. Fortunately, he now has a place to call Home. Nevertheless, during festive seasons such as this, is when they feel the most lonely. So, do come and join us at this event to show your care and support for these children, and celebrate Hari Raya Aidil Fitri with them. The children currently sit on the floor in the "classroom" and the Ustaz has requested for some study tables and chairs. Other items requested are in the Wish List below. Please arrive at the Ti-Ratana Penchala Centre by 9:30am for a briefing. 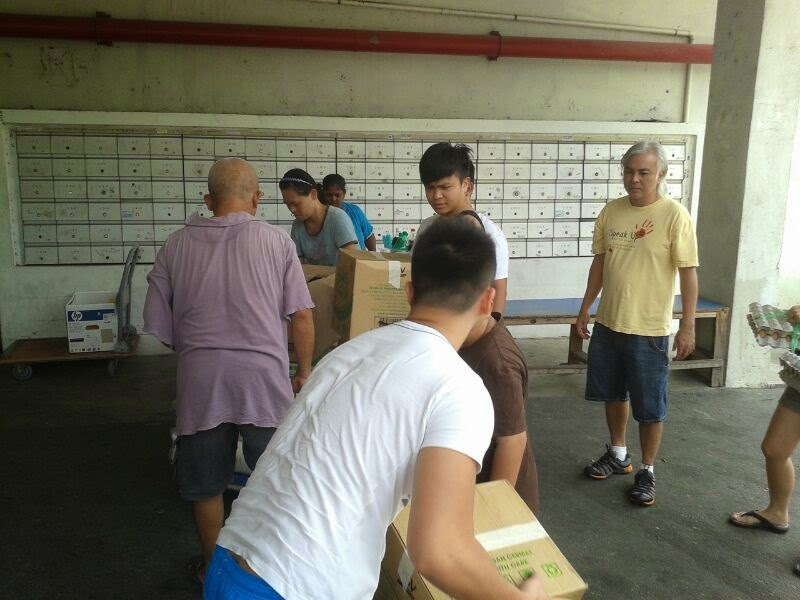 We will depart the Centre for the Home in Batu Caves at 10:00am sharp. No transportation will be provided to get to the event venue and back to the Centre, so kindly ensure you make your own arrangements through car pooling. Come join us in this festive celebration and show the CHILDREN we CARE! 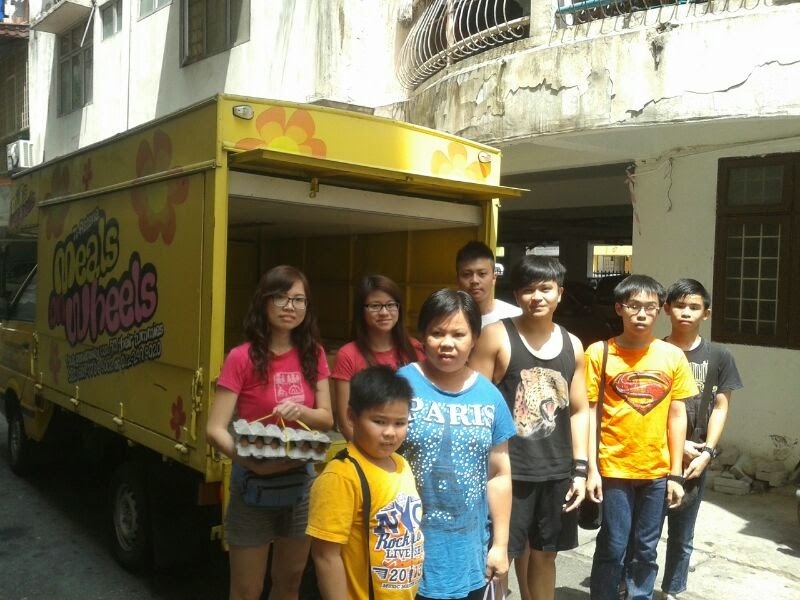 MOW Food Bank groceries for July were delivered to 11 families in PPR Taman Melati and PPR Desa Rejang this morning by our "veteran" volunteers Bro Swee Keong and Bro Andrew, and a new volunteer, Sis Jocelyn. As usual, our dedicated volunteers wore their big SMILES during the delivery, a reflection of their joy in being able to do their bit to help the less fortunate. 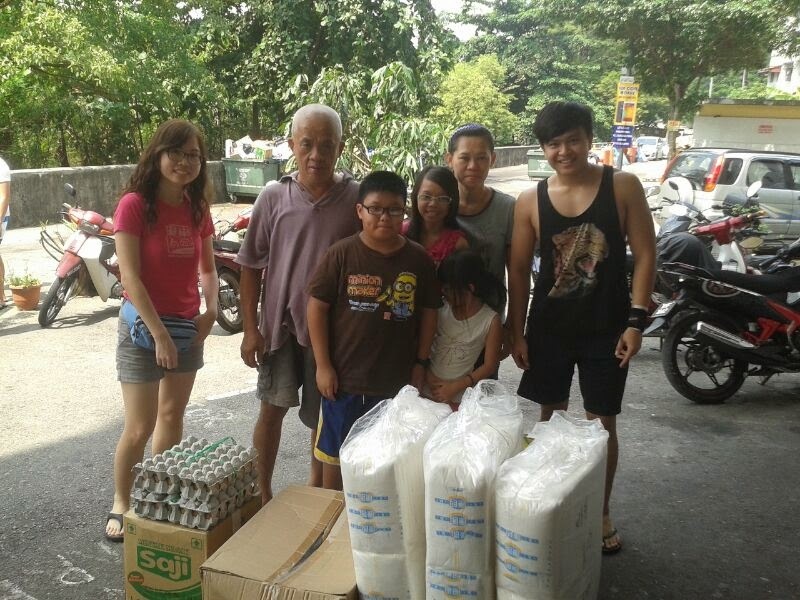 While Bro Andrew shouldered the box of groceries and a bag of 10kg rice up 4 flights of stairs to deliver to Puan Fazilah, Bro Swee Keong handed over groceries to Puan Zabiyah and Puan Padmini, all in Taman Melati. Since I was there early with a couple of friends, we also visited our Happy Child Siti Nurmaisara (suffering from Cystic Fibrosis), who was recently discharged from GHKL after being treated for dengue fever for the past 3 weeks. Unfortunately, the dengue fever caused her sugar level to rise and she is now being treated for diabetes with insulin. These friends actually came along to present "duit raya" to the Malay families, a generous amount of RM500 per family. 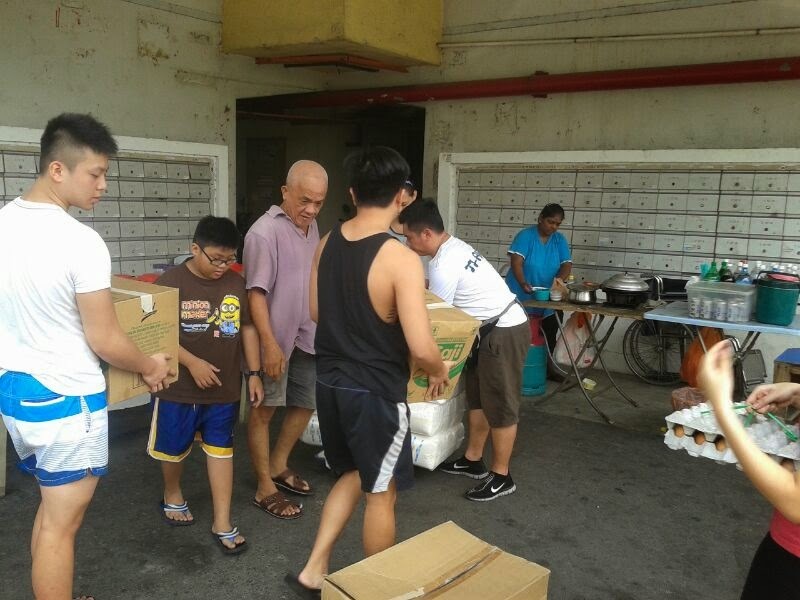 We then proceeded to PPR Desa Rejang, where another 8 families received their groceries. Six Malay families in this PPR also received their "duit raya" which will definitely come in handy for last minute purchases of new clothes and raya cookies. Puan Fazidah and her family were delighted with the surprise gift. Her eldest daughter did well in her SPM exam last year and is now doing matriculation in a local university. Aida, who is our very capable "leader" in Desa Rejang, also helped us source for an orphanage for us to celebrate Raya. Do look out for our blog post on this very soon. We truly appreciate the generosity of our donors for the groceries and the "duit raya" and of course our volunteers who helped with the delivery today ... a BIG THANK YOU on behalf of the families. 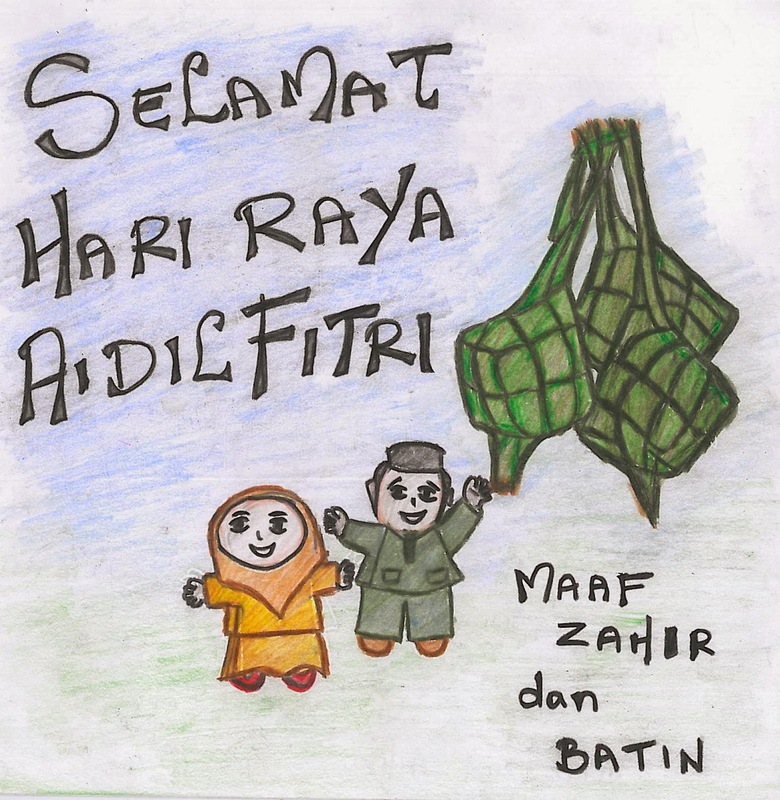 We wish all our Muslim brothers and sisters, Selamat Hari Raya Aidilfitri, Maaf Zahir & Batin. Meals on Wheels continues to deliver monthly groceries to our Food Bank recipients. With the funds collected from the generous public we are currently able to support 20 families. Jinjang, Kepong, Sentul, Sungei Besi . 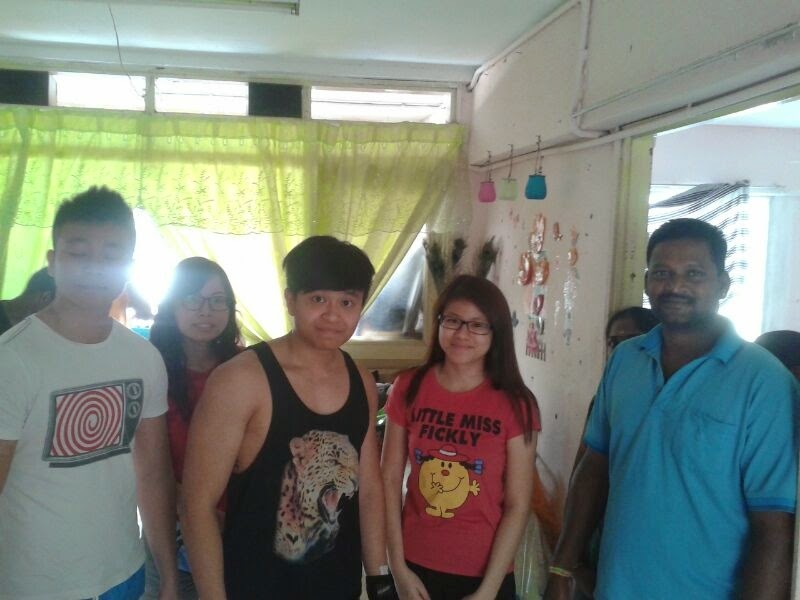 We are delighted to have four young teenagers joined us for a good cause and they cherished the experience. We all realize that giving on any level feels really good, but internally all forms of giving are not created equal. This is where motives come in. When we give with the expectation of receiving something in return, we are not really giving from a pure motive. But when we give from a generous heart, the joy of giving becomes its own reward. Thank you to our well wishers, benefactors, supporters, donors and volunteers.